The World Chess Championship 2012 match between the current world chess champion GM Viswanathan Anand (India) and GM Boris Gelfand (Israel) took place on 10–31 May 2012 in Moscow/Russia. Prize fund was 2.55 million US Dollars. Anand last defended his title at the World Chess Championship 2010 versus Veselin Topalov. 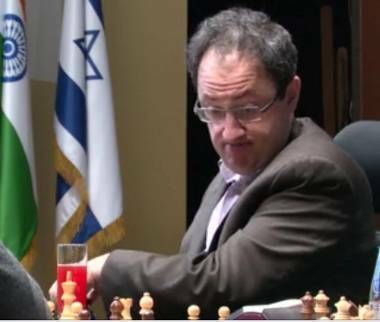 Boris Gelfand will be the underdog and I wish him all the best in the match. I think he will have no chance against Anand but maybe he is lucky in one way or the other. However this might be his only chance in his life time to win the world title and nobody deserves it more than Boris to become world chess champion, as he is a grandmaster of long standing. 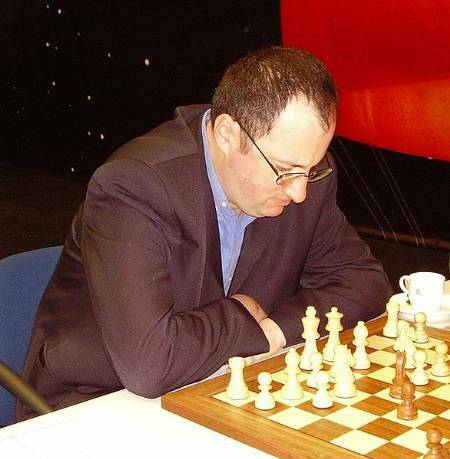 Boris Gelfand was born 24 June 1968 in Minsk, Belarussian SSR but he immigrated to Israel 1998 and became Israel's top ranking chess player. Boris Gelfand used surprisingly the Gruenfeld Defense, the Exchange Variation (which is the main variation), and got an easy draw with the black pieces against World Champion Anand in the first game. Anand defended with the Slav Defense (Semi-Slav Variation), and drew with Black against Boris Gelfand in just 25 moves. 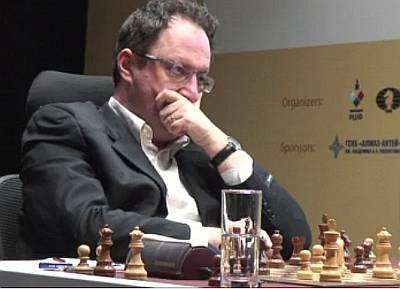 Gelfand used again the Gruenfeld Defense as Black like in the first game and drew. 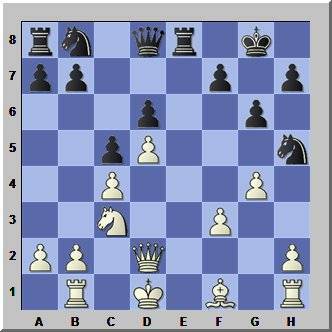 Anand deviated from the first game and played a different setup starting with 3.f3. After trading off queens the game finally ended in a drawish rook endgame. 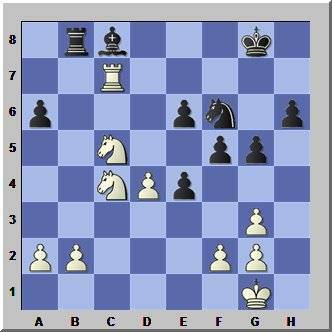 Anand defended with the Slav Defense (Semi-Slav Variation) like in the second game, and drew with Black again. The game was balanced at all times. Gelfand used the Sicilian Defense/Sveshnikov Variation as Black and drew. Anand defended with the Slav Defense (Semi-Slav Variation) like in the second and forth game, and drew with Black again. The game was balanced at all times. Now we have seen all games ending in a draw. Boris is delievering a hard fight. Can Anand beat him? Anand defended again with the Slav Defense (Semi-Slav Variation) like in the second, forth and sixth game, but this time Gelfand played the promising move 6.c5 and after the dubious pawn move 25...f6 Anand soon drifted into a losing position. Anand (Black) just played 25...f6? 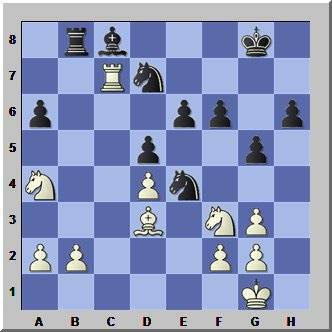 Gelfand miscalculated a tactical rich position as Black and lost. and sacrificed a knight, but did not get sufficient compensation (attacking chances) for it. In the end his attack evapourated into nothing. He overlooked the strong white move 17.Qf2! which traps and deactivates the black queen and Boris remains at a material disadvantage, so he resigned. Anand defended with the Nimzo Indian this time and the position remained balanced and ended in a draw. Anand played 1.e4 again and Gelfand defended with the Sicilian defense like in game 5. But this time the Bb5 Variation was played. A draw again. This is a tough match indeed. Anand played the Nimzo Indian again and the position remained balanced and ended in a draw. 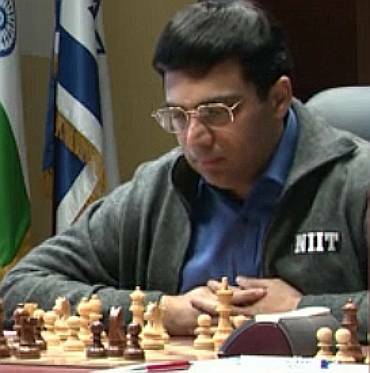 Anand retains the world title. Anand won the second game in the four-game rapid tiebreak match. In the second game Anand (White) reached a drawish position in the endgame, but Gelfand made an error under acute time pressure and lost the game and the whole match. This is sad indeed, but Anand is known to have the fastest chess brain on earth and this gave him a small advantage in fast games.